Our apologies, the PTA Bingo is taking place at GRESFORD COLLIERY CLUB on Monday 15th April 6.30pm (not Memorial club). Please see a letter below. Best wishes for a happy Easter. All of the classes across school will now have begun making plans in their classes for our Entrepreneur’s Fair on Wednesday 3rd April 3-4pm (as stated on electronic calendar not 2nd as paper dates sent home). 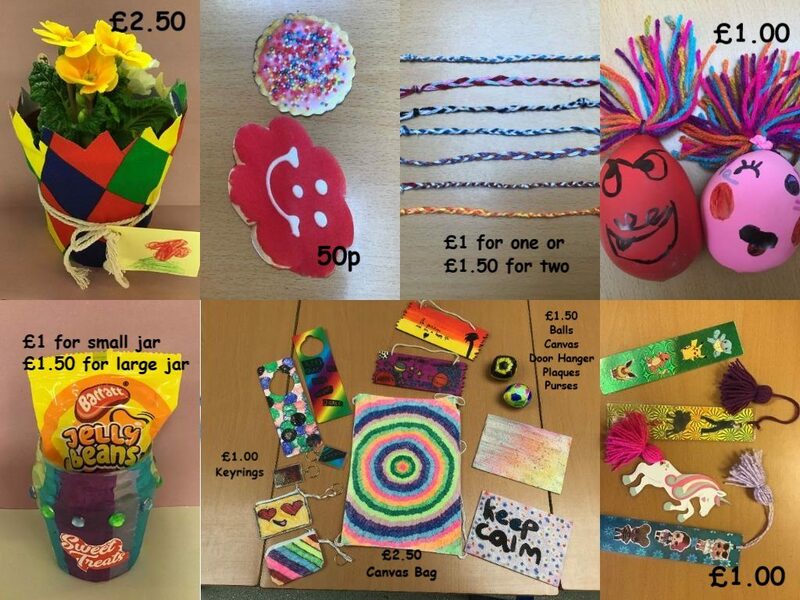 Each class have made products which they will be selling for between 50p and £2.50 (please see the picture) Each class business will then use any profits to choose something themselves for their own class. The fair will be open to pupils only for a short time before 3pm if they would like to purchase anything. Monies can be sent in on Wednesday 3rd April in a an envelope labelled with your child’s name for them to have a look around the class stalls if they so wish. The fair will then be open to parents at 3-4pm. We would be grateful if you could send change in with your child i.e. multiples of 50p or bring change along yourself to the fair as each stall will only have a limited amount of change. The children look forward to showing off their wares! All of the classes across school will now have begun making plans in their classes for our Entrepreneur’s Fair on Wednesday 3rd April 3-4pm (as stated on electronic calendar not 2nd as paper dates sent home). Each class will making products that they have designed to sell for a small charge. 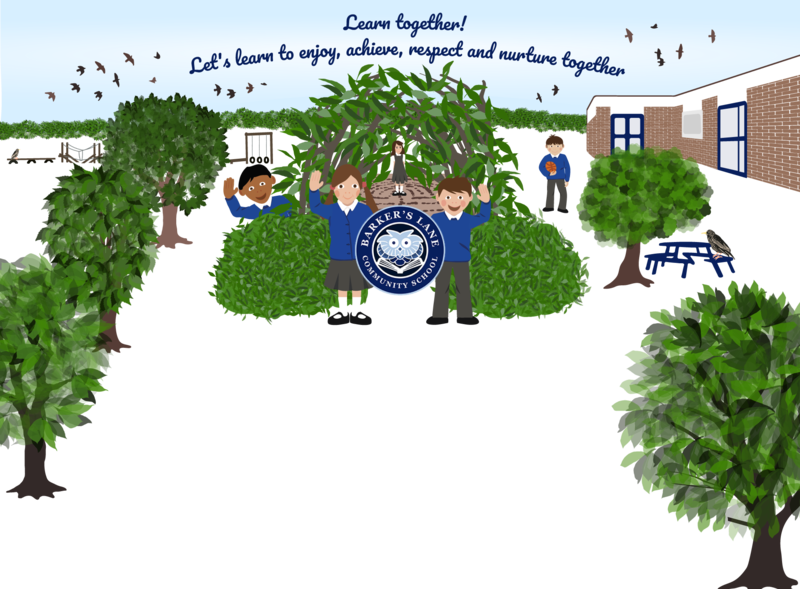 Each class business will then use any profits to choose something themselves for their own class. More information about items that each class will be making / selling will be shared at the beginning of next week. The fair will be open to pupils only for a short time before 3pm if they would like to purchase anything. Monies can be sent in on Wednesday 3rd April in a an envelope labelled with your child’s name for them to have a look around the class stalls if they so wish. Please look out for further information at the beginning of next week! Film Club will take place after school on Tuesday 9th April until 5pm. Please complete the form sent home this week if your child wishes to come along. Please return this to school with £4 paid online if possible (or in an envelope with monies if you are unable to pay online) by Thursday 4th April at the latest to enable us to order food / drink supplies. Diolch. Please find attached a poster we received yesterday for the next programme that Wrexham County Borough Council is running which we have been asked to share with families. The next group is starting in Caia Park Hub on Friday March 22nd 9.30am start . Applicants can self refer at the first session or call to contact on the poster for details. The Freedom programme is a tool for all families whether they are experiencing, have experienced, wish to know more about or to be able to support their children or others in relationships. The programme is free for anyone who is a parent. Please call the named persons on the poster if you require any further information. Plas Coch, Wrexham have very kindly donated some pictures to Barker’s Lane PTA which will be displayed at the back of the school hall this week at our curriculum presentations and Welsh celebrations. The PTA have launched a competition to win one of the pictures for an entry fee of £1. All proceeds will go towards PTA funds. You can have a look at the pictures at the back of the school hall and pick up an entry form whilst at Parents’ Evening this week or take some time to do some research over the half term with your child and enter. Some of the pictures are very easily recognisable and some will hopefully have you intrigued and puzzled! The closing date has been extended to Friday 29th March NOON. Pob lwc! Consultation on the proposal to increase capacity at Barker’s Lane CP. Following the meeting of Executive Board on 12 March 2019 permission was given to publish Statutory Notices for a period of 28 days, to enable the proposals to proceed. The Statutory Notices will be published from 14 March 2019 to 11 April 2019. Yn dilyn cyfarfod o’r Bwrdd Gweithredol ar 12 Mawrth 2019, rhoddwyd caniatâd i gyhoeddi Hysbysiadau Statudol am gyfnod o 28 diwrnod, i alluogi’r cynigion i symud ymlaen. Bydd yr Hysbysiadau Statudol yn cael eu cyhoeddi rhwng 14 Mawrth 2019 a 11 Ebrill 2019. As you may be aware from local press, WCBC made a decision to now publish a Statutory Notice following the presentation of the post consultation report at the Executive Board meeting yesterday. Further information is detailed below as promised in our notification on 7th March. We were not in a position to share any information sooner because as many of you will already be aware, the school find out this information in the same way that parents / carers / community do. Please find below a letter from the Chair of Governors with further explanation. There is also a link to a copy of the Local Authority Post Consultation report which was provided to school today.